Jill, E-RYT 500, has practiced yoga for almost 25 years and has taught yoga and meditation for ten years. In her classes, Jill creates a compassionate, supportive, and friendly space where students can challenge themselves, increase self-awareness, and find balance on the mat and in their lives. Jill joyfully shares the fruits of her own practice and study with her students so that they can live with ease, insight, and fulfillment. Her main teacher is Yogarupa Rod Stryker, the founder of ParaYoga, with whom she has studied since 2005. Jill is a Certified Level 1 ParaYoga teacher and is in the mentorship program to be a Four Desires trainer. She was initiated in the Sri Vidya tradition by Pandit Rajmani Tiguinait. She is also influenced by her many years as an Iyengar student. Jill teaches weekly classes at Circle Yoga in Washington, DC, where she also teaches a year-long program based on the Four Desires. She offers Restorative Yoga workshops, initiated the Yoga for Breast Cancer program, and also taught Yoga for Runners and Cyclists. 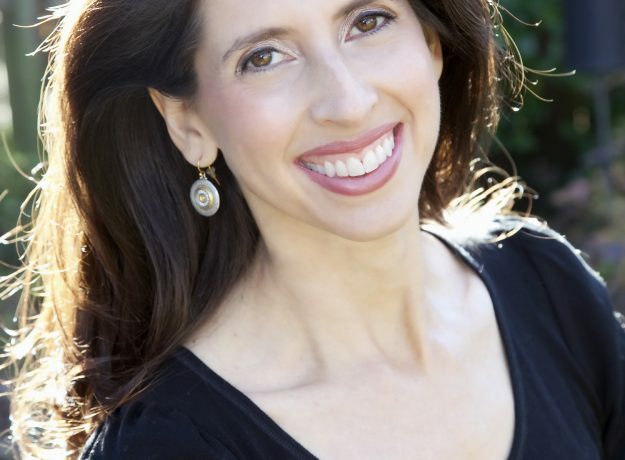 Her private sessions focus on developing a personal meditation practice, stress relief, and also on designing yoga practices for chronic diseases such as Huntington’s Disease. She also teaches a weekly class for seniors in her community. Off the mat, Jill is a leadership coach, working with senior executives, nonprofit leaders, and anyone looking to transform their lives to live with purpose. She holds a certificate in Leadership Coaching from Georgetown University and is a member of the International Coaching Federation. She is also a community leader advocating for social change and empowerment through active involvement with the Tikkun Olam Women’s Foundation, where she chairs the Grants Committee, the Sitar Arts Center, where she chairs the strategic planning committee, and American Jewish World Service, with whom she recently traveled to Burma to observe efforts to improve human rights. Until recently, Jill served on the boards of the Give Back Yoga Foundation and the Mid-Atlantic Yoga Association. She holds a Masters in International Business and Economics from the Fletcher School and a BA in International Relations from Tufts University. She previously worked in international development at the World Bank and also at Price Waterhouse. When not doing yoga, coaching, or advocating for social change, Jill is with her husband of 28 years and her two sons, one of whom is away at college. She is an avid cyclist, plays the flute, and loves to read, travel, and spend time with family, friends, and her wonderful dog.